I am always on the lookout for products that claim to improve skintone, improve radiance and combat congestion, acne and blackheads. Why? Because my acne and my acne scarring are the bane of my life. If my skin is looking clear, it still isn't looking 100% clear because there are always pesky scars on show. I'll have days when I think 'Wow, my skin looks clear' but on closer inspection the scars still remain. I always struggle to find products on the market that are tailored for acne scarring, and that's because none of them label themselves as for 'acne scarring'. However, if you know where to look, there are actually some complete gems on the market. 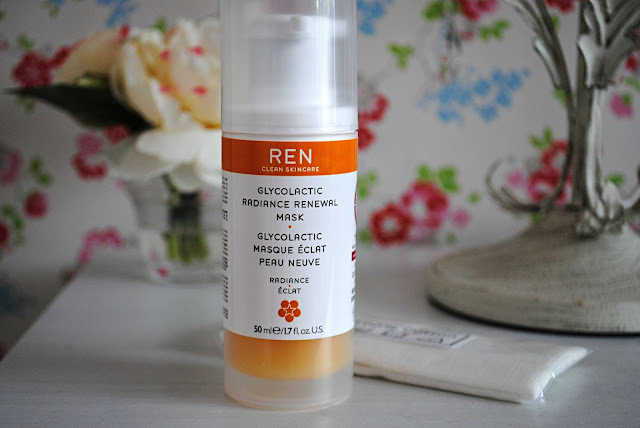 Take the REN Glycolactic Radiance Renewal Mask, a product I am completely head over heels with, for example. 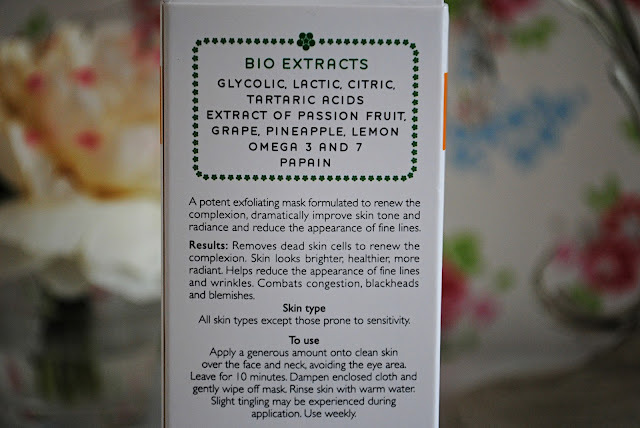 I was sent this little beauty of a product a little while ago and it has been a staple in my skincare regime since. I'm currently having a love affair with REN Skincare and this brand can seriously do no wrong in my eyes. The Glycolactic Radiance Renewal Mask immediately caught my attention thanks to the fact it contains Glycolic Acid, my absolute favourite ingredient. I've loved this ingredient ever since I discovered it in my Alpha H Liquid Gold, another product I swear by. I think the Glycolactic Mask works in a similar way to Alpha H, as they both leave my skin looking and feeling gorgeous. The Glycolactic Mask most definitely does everything it claims; it removes dead skin cells to renew the complexion, makes my skin look brighter, and definitely reduces congestion and the appearance of blemishes and blackheads. Whenever I use it I am always astounded in the results; simply ten minutes with this wonder-mask on and voila, rinse it away to reveal gorgeous, glowy, super smooth skin. I've been using this once a week for a month or so now and I can't get enough of it. My skin is looking the best it ever has and for once my skin is SMOOTH and clear, and just generally looks much healthier. Thanks to the Glycolic Acid in the mask my acne scars are fading significantly, so I completely recommend this to anyone looking to get rid of any pigmentation or scarring. At £27 for a facemask this is pretty steep, but it works so well I would repurchase it in a heartbeat, and when my current mask runs out I'll most definitely be buying it again. 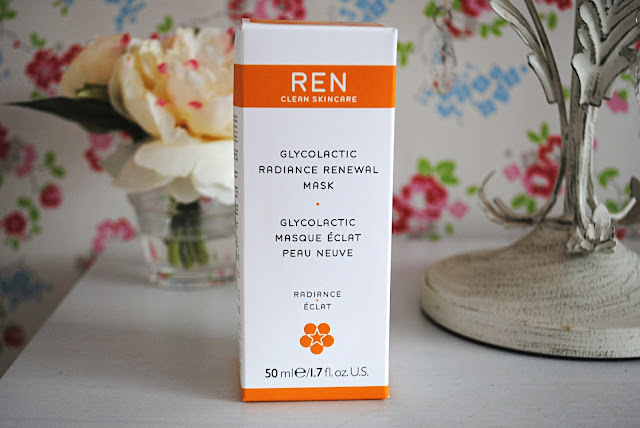 Have you tried REN's Glycolactic Radiance Renewal Mask? What did you think?